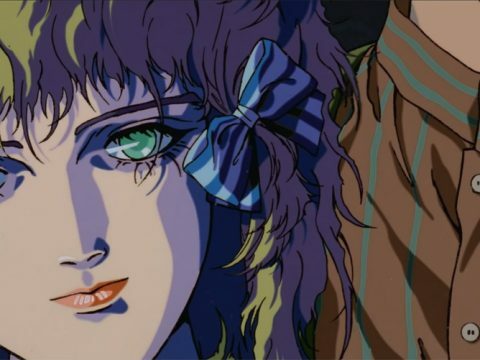 “Nothing really happens, but in a really good way.” That’s the way voice actor Sayaka Ohara once described the mood of ARIA, and it’s a pretty solid definition of a handful of anime that are created with the specific purpose of having a healing or soothing or healing effect on the audience. The best term for these kinds of shows is iyashikei, which is Japanese for “healing.” If you ever see an anime being described as “cute girls doing cute things,” chances are that it’s an anime of the iyashikei variety. 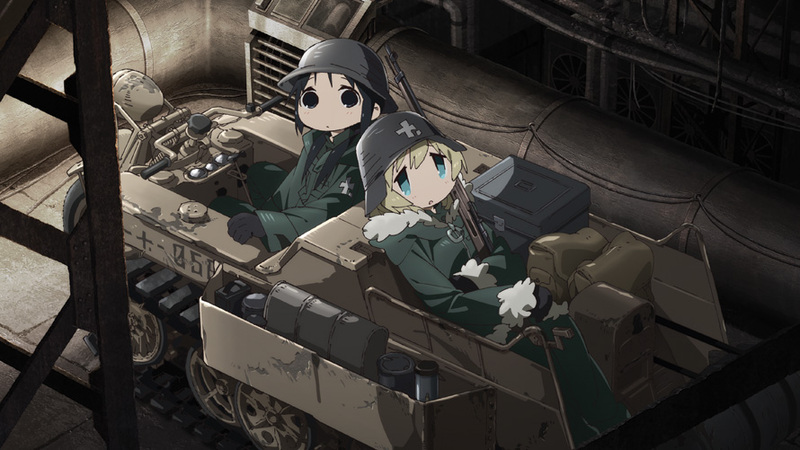 Girls’ Last Tour (Shoujo Shuumatsu Ryokou), an adaptation of the manga of the same name, falls as squarely into this category as the likes of K-On! and Azumanga Daioh. It follows the daily travels of Chito and Yuuri. Chito is a dutiful, machine-savvy bookworm, whereas Yuuri, well, isn’t. It’s a dynamic we’ve seen a million times before; nevertheless, the two keep each other company because they literally only have each other. Aboard their Kettenkrad motorbike, they wander the remains of a dead world where war has swept away the last remnants of life, searching day after day for their next meal or enough fuel for another ride, while reminiscing calmly about the present day as they stave off the ultimate embrace of death as best they can. Okay, so this might not be the next Azumanga Daioh. If anything, its premise of adorably designed characters surviving in a horrible world brings to mind the likes of Made in Abyss and School-Live!, both anime in which the children suffer hard and everything surrounding them makes their lives even harder. 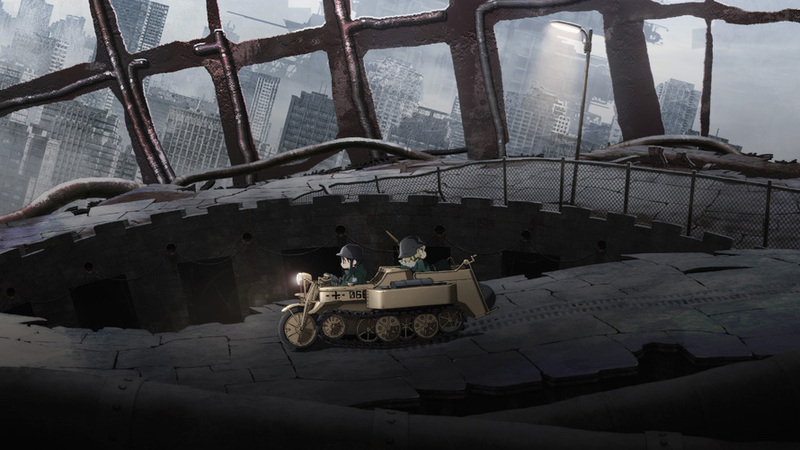 But Girls’ Last Tour provides a surprising breath of fresh air to the apocalypse genre, and I’m not talking about fresh air like Adventure Time, where the post-apocalyptic world is filled with candy and wizards. The world of Chito and Yuuri is a quiet one. I mean, you hardly see a corpse or a drop of blood, not a single bomb drops from the sky, and the only time anyone pulls the trigger of a rifle, it’s to pop open a couple of pipes of hot water for a long, steamy bath (trust me, it makes sense). And you never hear much about the story behind why these two easygoing girls are driving around all by themselves in a dead world, or even where they plan on going. Yes, the whole world has probably gone to hell, but not once does this show hammer in the bleakness of that fact. Instead, it’s the gorgeous environments and backgrounds that communicate the fascinating starkness of this world, and just how much that contrasts with the bouncy and squishy presence of the girls (if you’ve seen some the faces that come from this show, you’ll understand). But this show isn’t about how awful everything is. 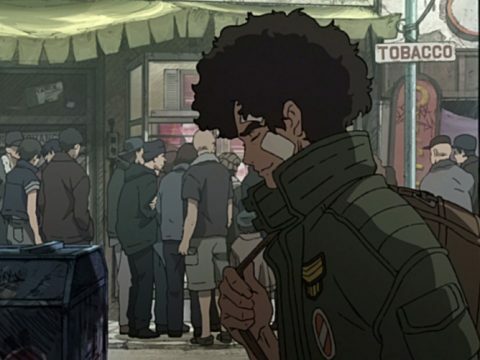 This show isn’t about a still world; it’s all about still being able to move around in a still world. 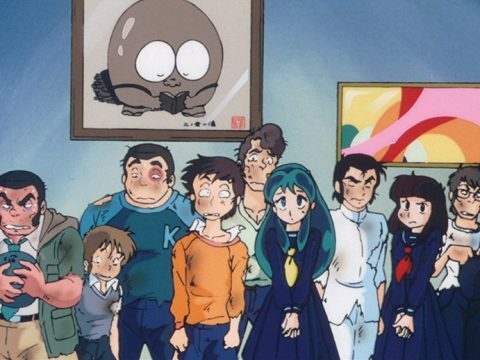 You know how they say, “It’s not about the destination, but rather the journey?” This show pretty much encapsulates that idea. I mean, Chito and Yuuri don’t really seem to have a long-term goal; they’re just driving around looking for food and supplies. And if they see something interesting, they check it out. And that’s it. There’s no big climax to be found around the corner; they’re just trying to survive for as long as they can. 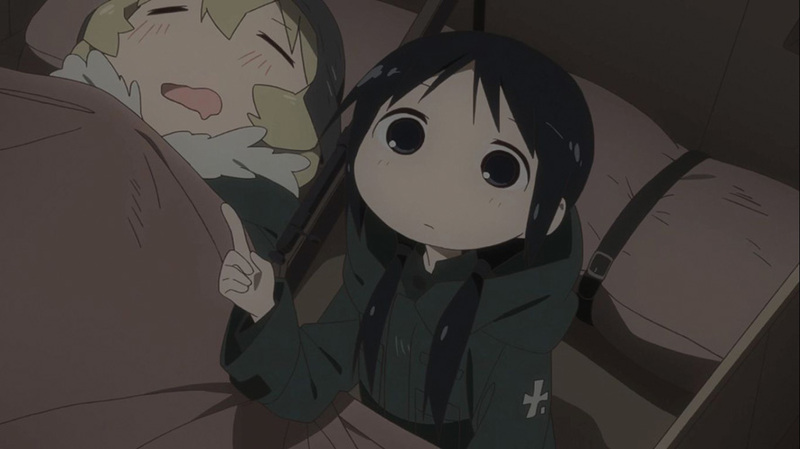 Girls’ Last Tour is probably the comfiest apocalyptic wasteland you’ll ever come across. In the end, it’s not about how the whole world has gone to the dogs. It’s not about hopelessness, but there’s not really a lot of hope to find, either. 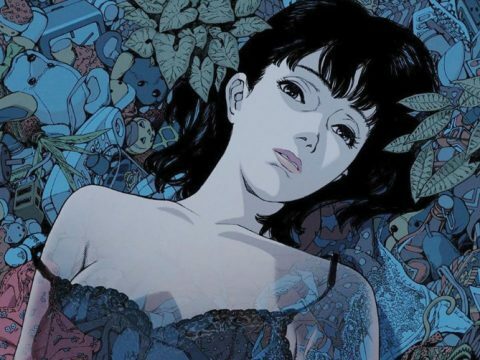 As a woman Chito and Yuuri encounter puts it, “True hopelessness is not having anywhere to go.” Staying still is bad enough, but what if the whole word around is an image that never moves? You have to keep moving, just to prove that you can still live. You may not be able to change the world, but you can certainly change yourself within it. And that’s what I can certainly call poetry in motion. 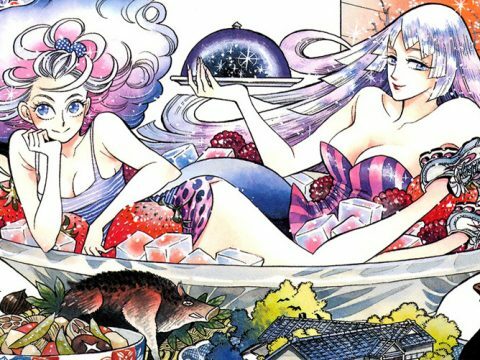 This story appears in the April 2018 issue of Otaku USA Magazine. Click here to get a print copy.